The Trump administration says it may pull as many as 2,000 inspectors from border crossings to handle a surge of families arriving at the U.S.- Mexico border, many of them Central American asylum seekers. The temporary reassignments, up from 750 inspectors previously, threatens to slow the movement of trucks bringing televisions, medical devices and other goods to the U.S. It also could create delays for cross-border commuters who come for work and school. 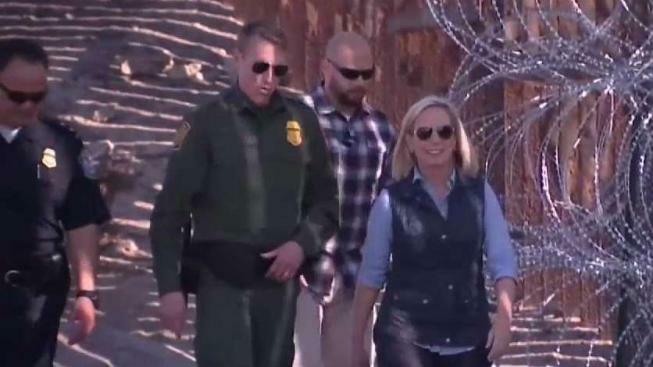 Homeland Security Secretary Kirstjen Nielsen said Monday the reassignments are necessary to help manage a massive influx of migrants straining the system and overflowing border facilities. "We will immediately redeploy hundreds of CBP personnel to the border to respond to this emergency. We will urgently pursue additional reinforcements from within DHS and the interagency," Nielsen said in a statement. 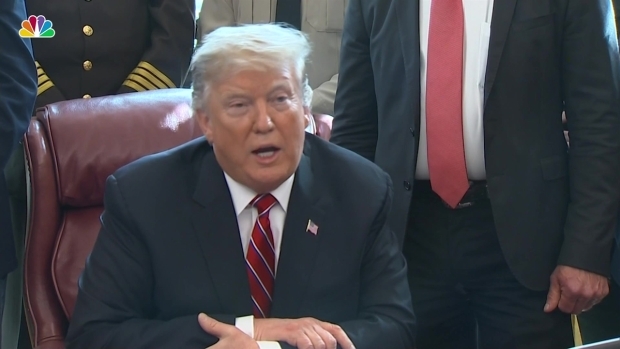 President Donald Trump formally vetoed a congressional resolution that revoked his national emergency declaration. It is the first time in his two years in office that Trump used his veto pen. The administration is also ramping up its efforts to return asylum seekers to Mexico, and planning to expand the program to other areas beyond the Calexico and El Paso ports in Texas and the San Ysidro port in California.